Are you engaged in any active Search Engine Optimization (SEO)? What about Pay Per Click (PPC) advertising? The fact is you should be working on both. Both channels should work in conjunction with the other, sharing information between each to further enhance the overall sales return. That is what it is all about, getting the biggest bang for your buck at the lowest risk. I can’t count the number of times I hear others say that PPC doesn’t work and costs too much. They tend to opt for SEO over PPC because they feel SEO will drive traffic at a less costly rate — but that is a mistake in judgment … more on that below. PPC when run properly is a very valuable asset to all businesses. If you are losing money on pay per click you are likely not operating it correctly. SEO is also a very important component to business needs, but it should not be the only method you rely on for traffic generation either. Consider the following example scenario. You decide not to run any PPC advertising and in place of it put all your traffic generation eggs into the Organic SEO basket. Your efforts have you enjoying a nice ride at the top of the engines, your sales are high and life is good. You wake up one day and for some unknown reason your sales have not only dipped, but have come to an almost screeching halt. 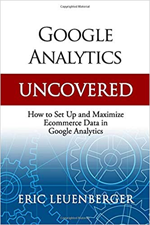 Doing some research you find out that the search engines unleashed some new update to their algorithms and with that update, your previous high flying rankings are now non-existent — and your sales are paying the price. The risk is real. If you were running PPC in conjunction with Organic SEO this hit would not be as significant, and furthermore, you could quickly “buy” your way back into the search results and pick up pretty much where you left off until your natural rankings recover. You shouldn’t wait to run PPC. As with SEO, many factors in pay per click rely on time and performance. For example, Quality Scores are affected by performance of ads / keywords and the more historical data you have the more opportunity you have to better those scores. Higher Quality Scores mean you can pay less for higher positions in the search engines — even when your competitor is bidding more than you for that same keyword. Now if you are one of those who think you can wait for the organic SEO to fail and then at that time buy your way back into the engines with PPC, you’re slightly mistaken. Yes, you can have traffic up and running within a few hours at the most. But the price you will pay for that traffic is going to be higher and the learning curve of what works to convert and what doesn’t will still be something that can only be determined with time. You have more control over paid search traffic. Targeting your ideal customer is easier. You can have quality traffic running to your site in just a few hours. Your traffic will continue to flow as long as your budget allows. Changes you make to your campaigns are active within hours and thus testing creative, landing pages, etc… is easier. Taking advantage of limited time opportunities to drive traffic (like holiday sales, back to school, etc…) is easier. Can get out of hand quickly and bust your budget if not setup and monitored properly. Can be a challenge to work with if not versed managing PPC campaigns to some degree. Depending on the type of system you use to set it up / run it, can be difficult with larger numbers of keywords, ads, and ad groups. Can help you increase rankings for keywords that might otherwise be out of budget in the PPC channel. Indexed pages of your site stay in the search engines forever (providing they are not “dropped”). Testing creative, landing pages, etc… is harder. Changes you make to your campaigns take time to work their way through the system (weeks, months, etc…) and by the time they are active, it’s likely too late to take advantage of any “would be” opportunities. Here today, gone the next. You could be #1 in Google (or any other engine) one day, and be non-existent the next. Traffic slows (or stops) as your search rankings drop and it can take time to recover those ranks. Harder to target and qualify your ideal customer. Time is your friend here (but that’s not always a good thing.) Things in the SEO world just take time. PPC and SEO are both effective means of delivering traffic to your website and arguments can be made for each as to their effectiveness. The fact is if you’re not running both, you’re limiting your potential for growth and increasing your risk. SEO should be seen as an ongoing marketing objective with “long term” results. PPC should also be an ongoing marketing objective with “short term” results. Combine them both, and the two traffic generation methods can work as a well oiled unit, delivering not only a continual flow of visitors to your site, but increased sales as well. Got anymore insights? I’d love to hear them. Voice your opinion below. Unfortunately Adblock is a very popular addon and pretty much negates any work you do via PPC. I just read lots of blogs recently as well as your own is among the best. I like reading through your posts — clear as well as well crafted. Your own web page goes straight to my bookmarks. I acquired a few good inspiring thoughts after reading this. I had given up on PPC for a while, and have been re-researching it realizing that the issue was me..not PPC. Thanks for the tips! Yes, PPC is a very effective channel for driving traffic when setup and managed properly. I manage a number of PPC campaings for those who want to get more out of their advertising.